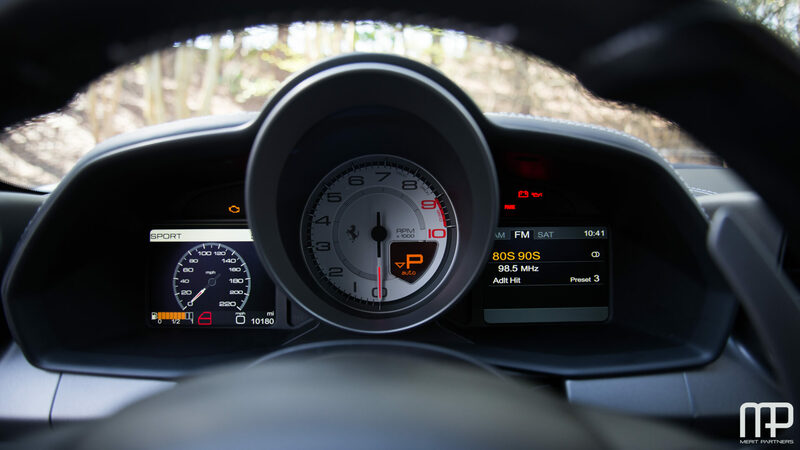 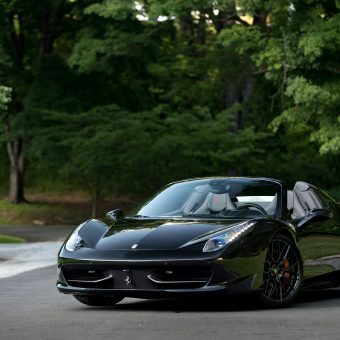 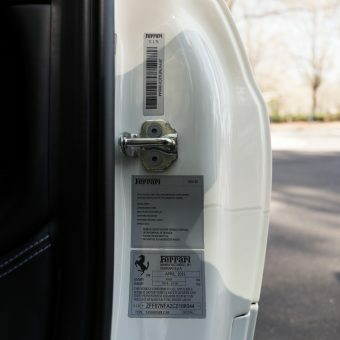 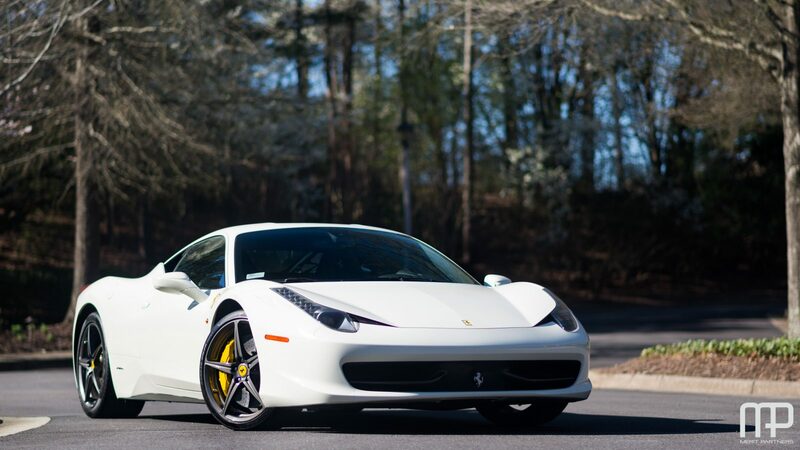 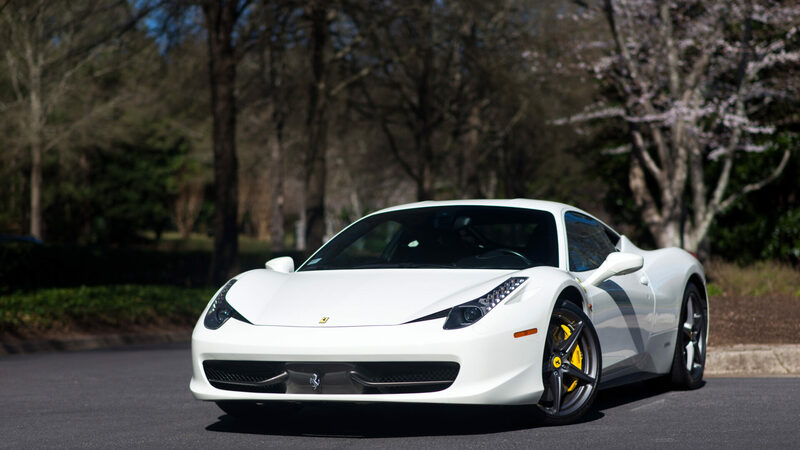 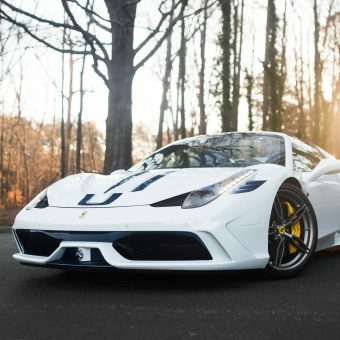 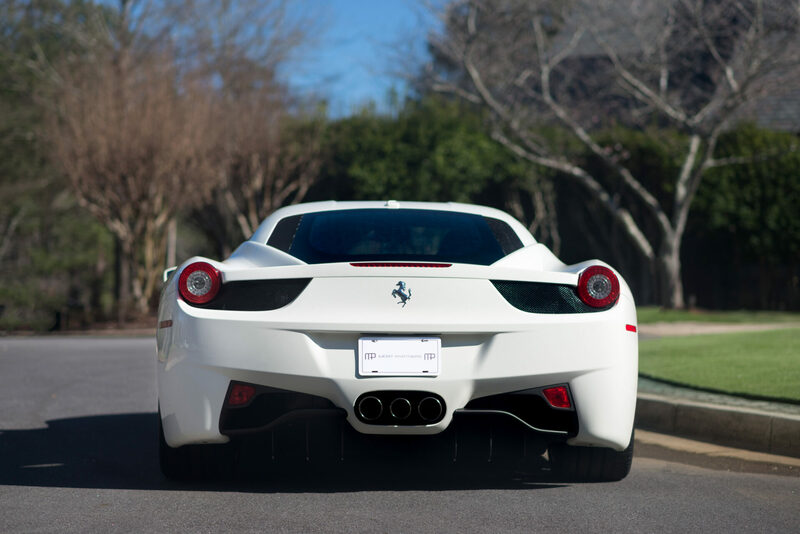 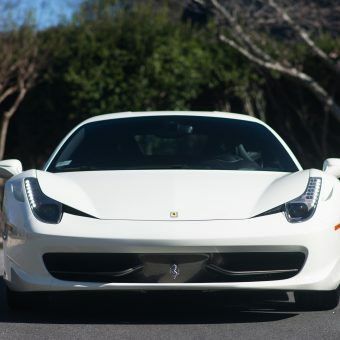 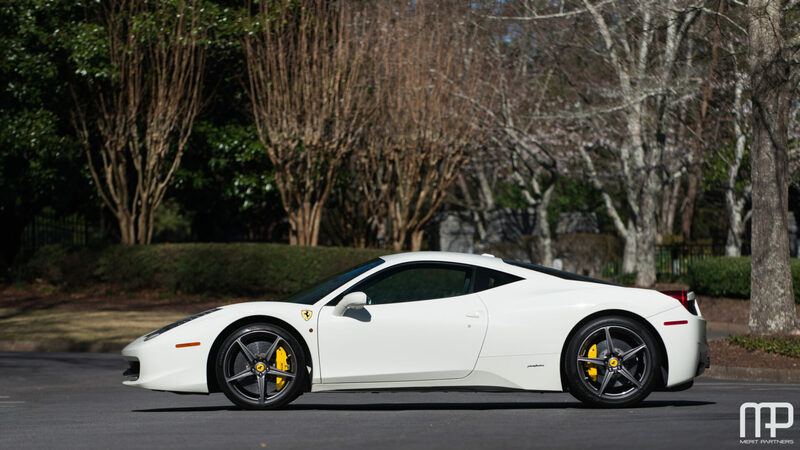 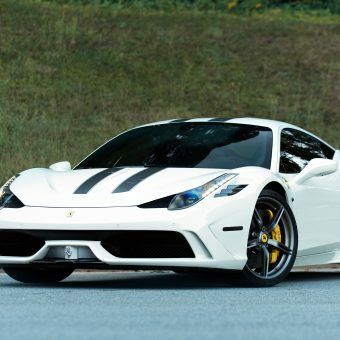 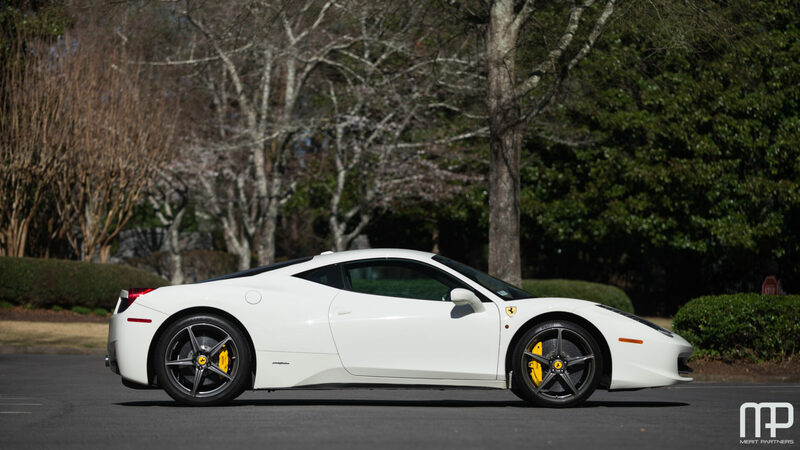 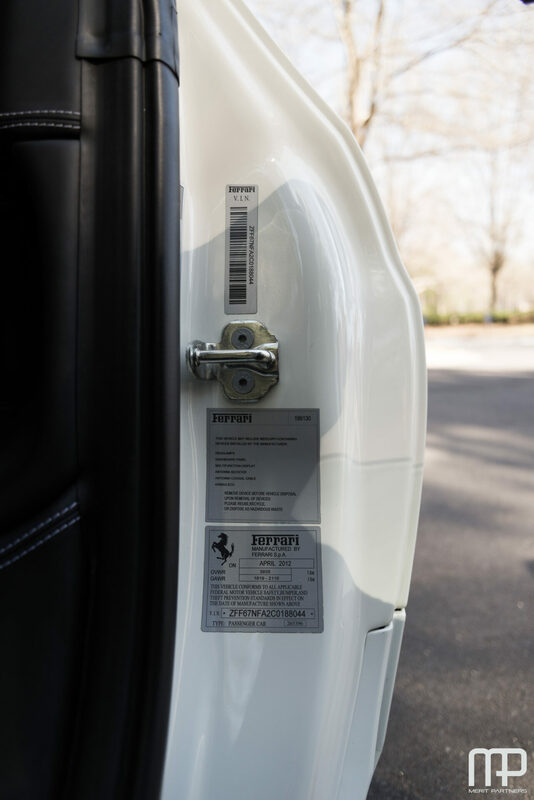 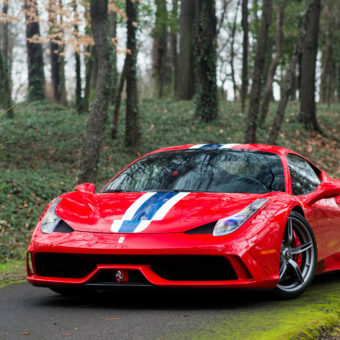 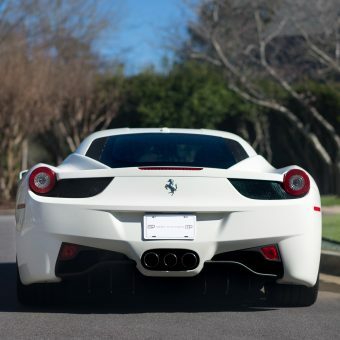 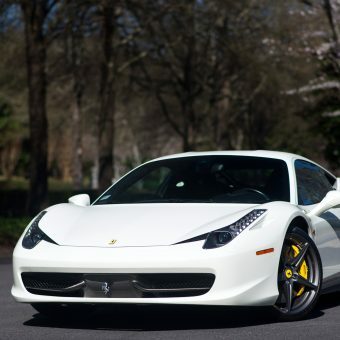 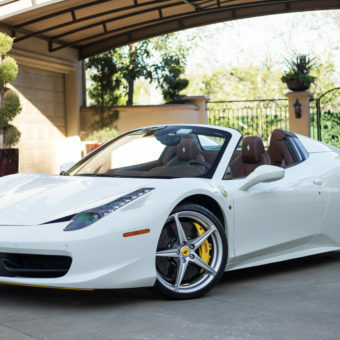 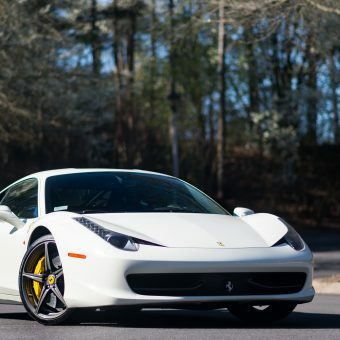 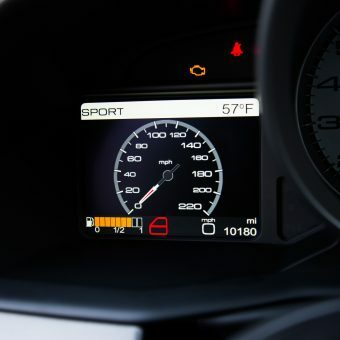 Merit Partners is pleased to present this pristine 2012 458 Italia in white over nero interior. 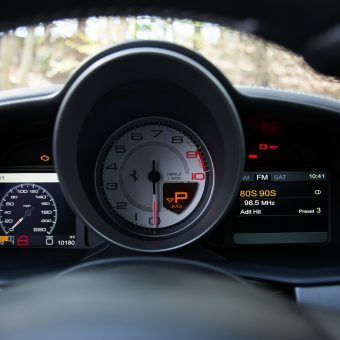 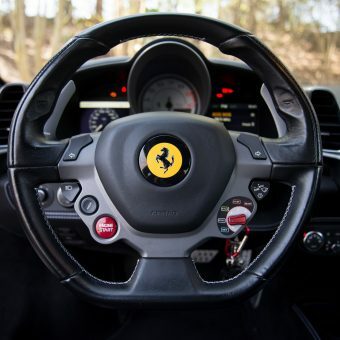 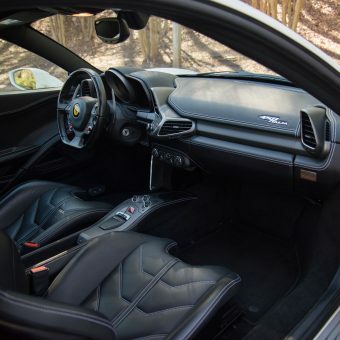 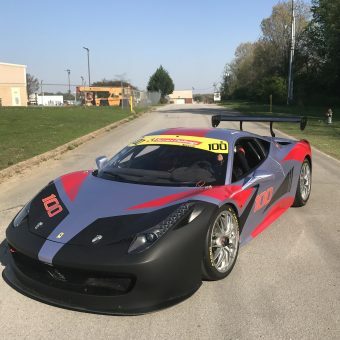 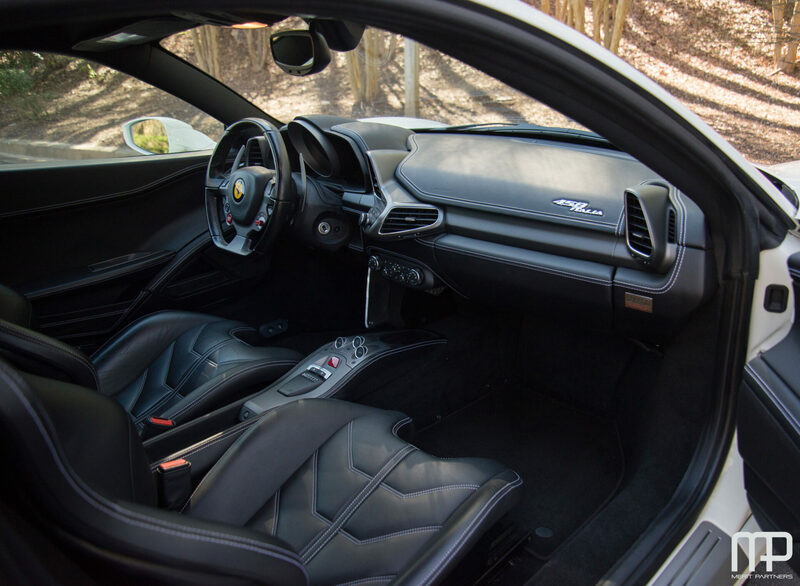 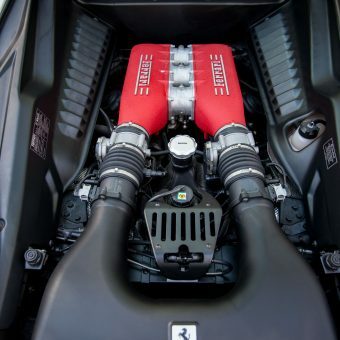 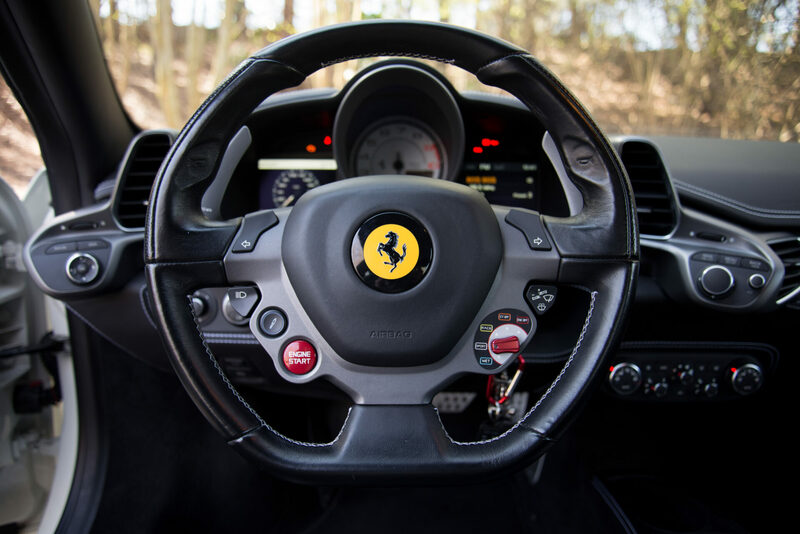 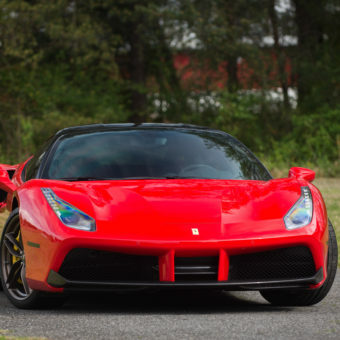 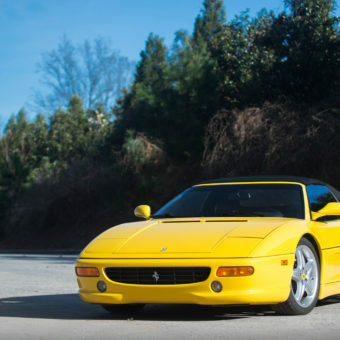 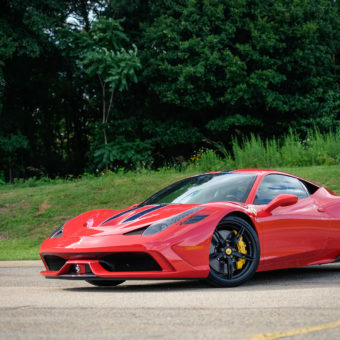 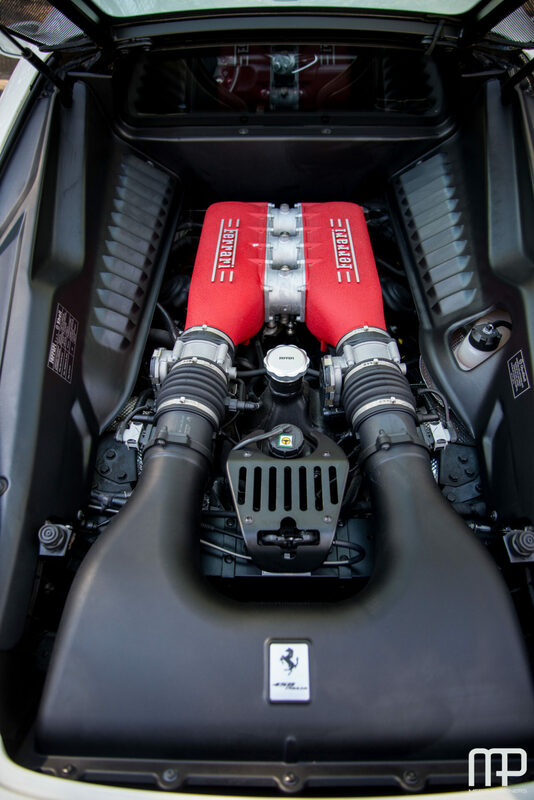 This car is nicely optioned and an excellent example of a no stories car that has been maintained by a couple of Ferrari enthusiasts and showing little to no signs of wear on any part of the car. 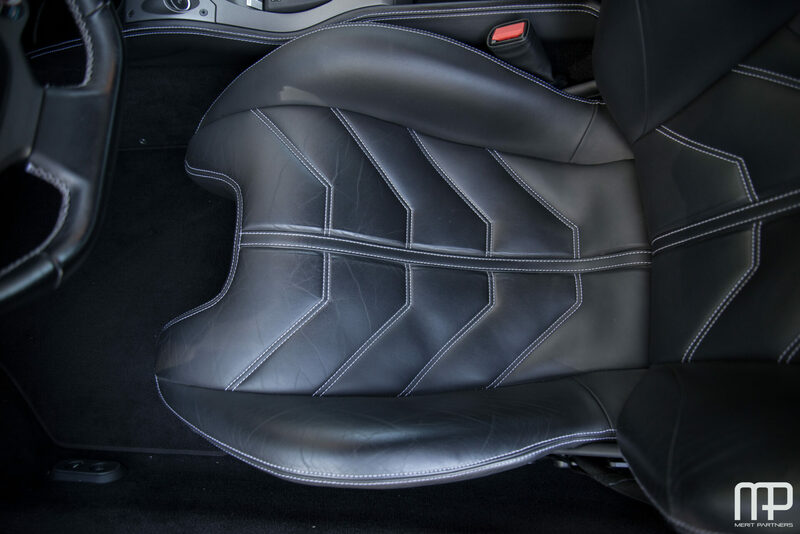 It is all stock with a highly desirable color combination featuring liberal uses of leather and contrasting white stitching. 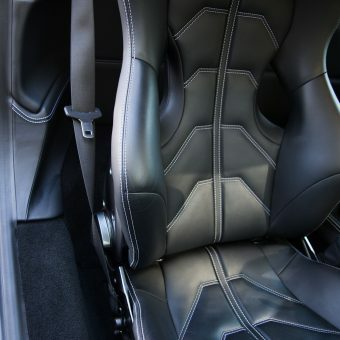 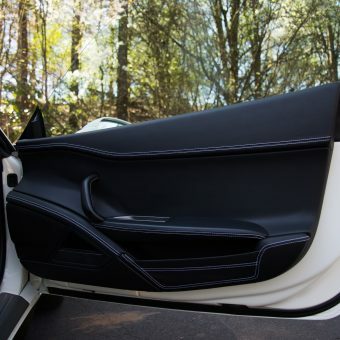 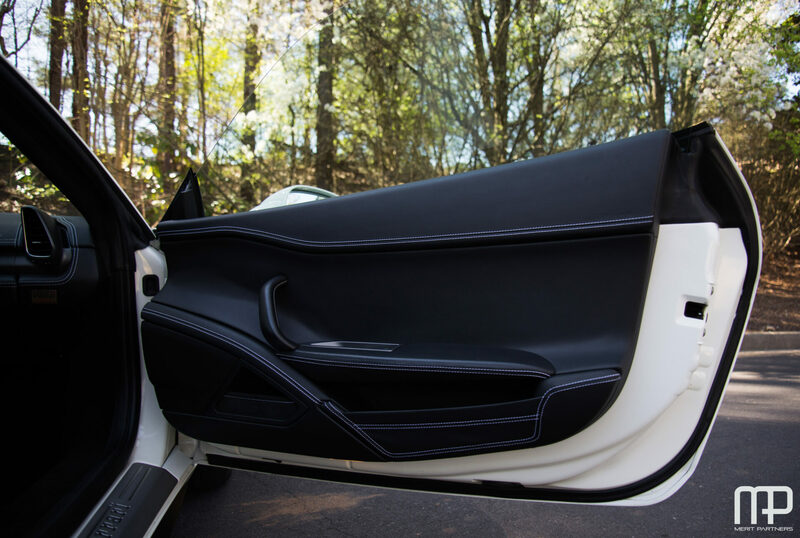 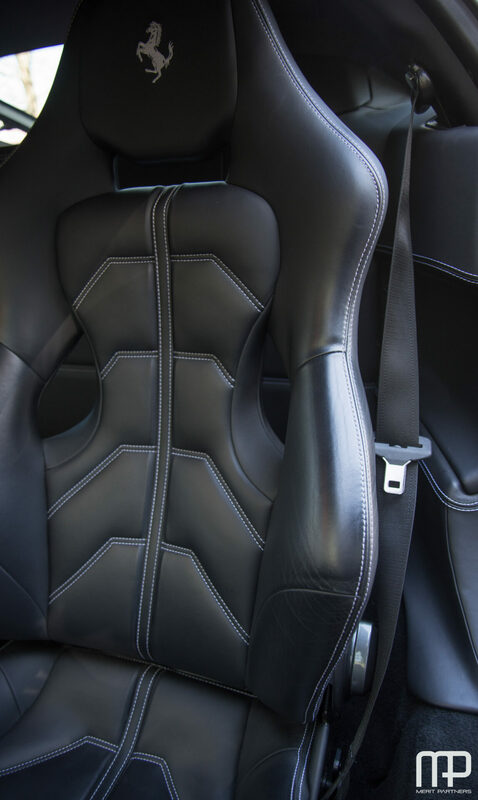 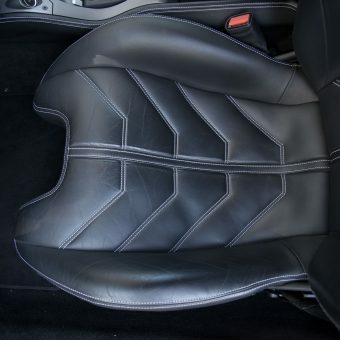 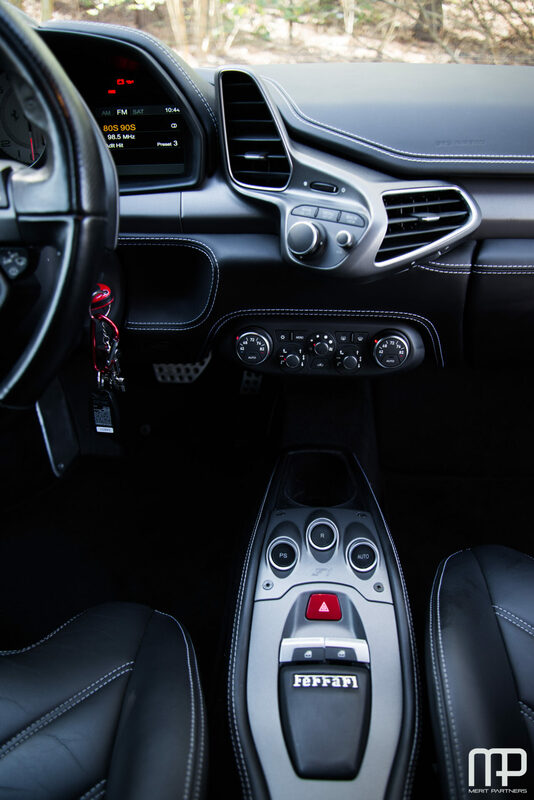 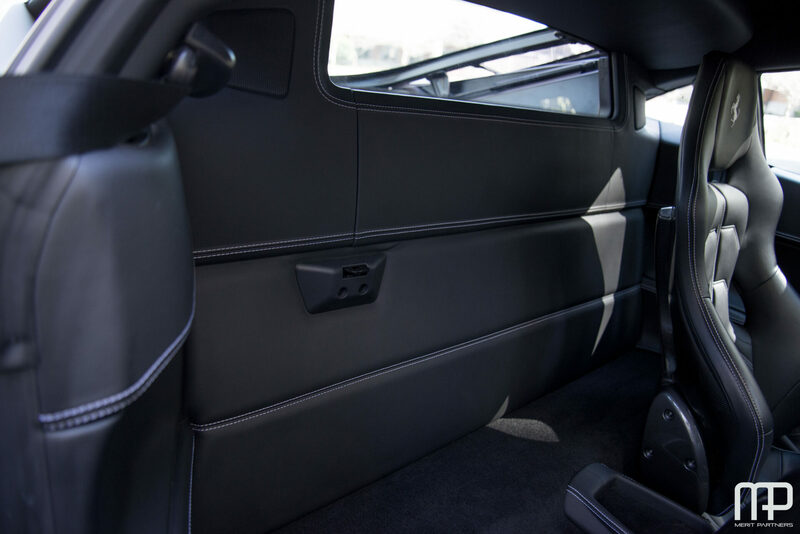 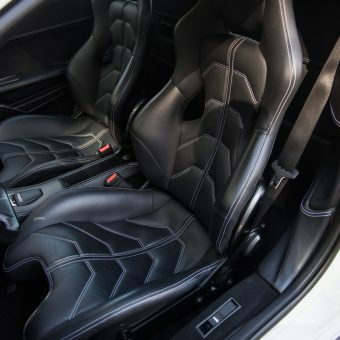 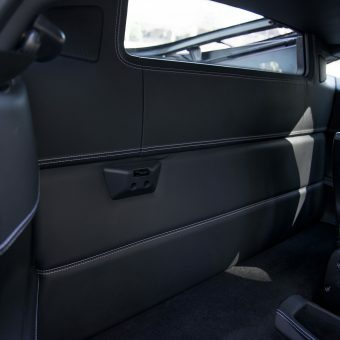 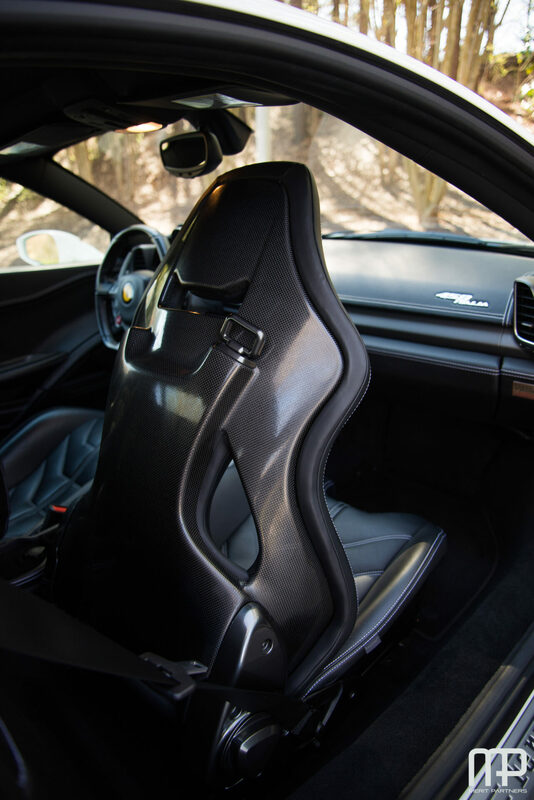 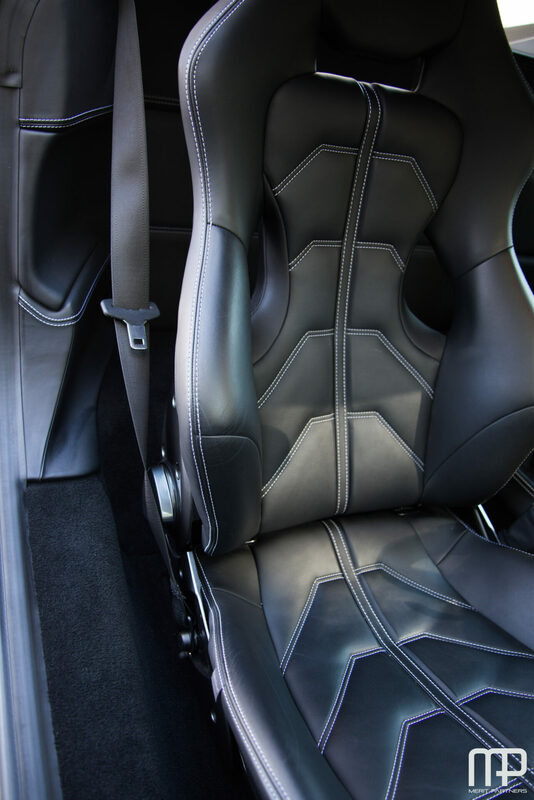 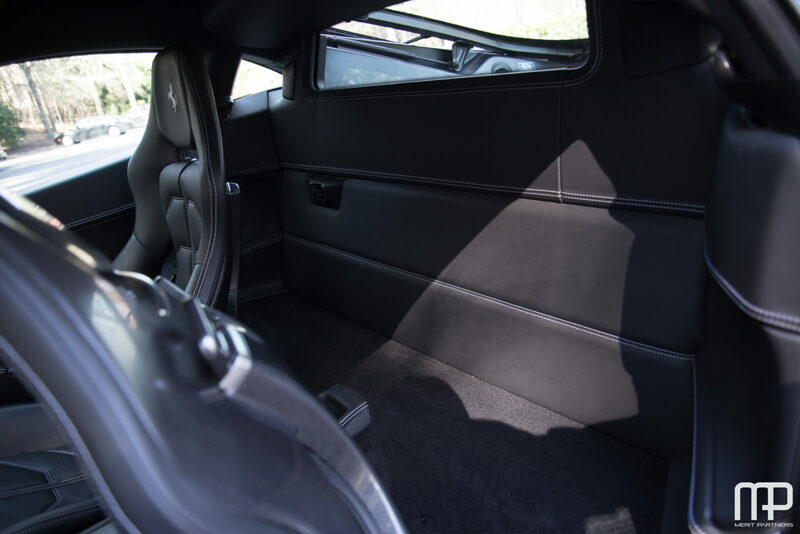 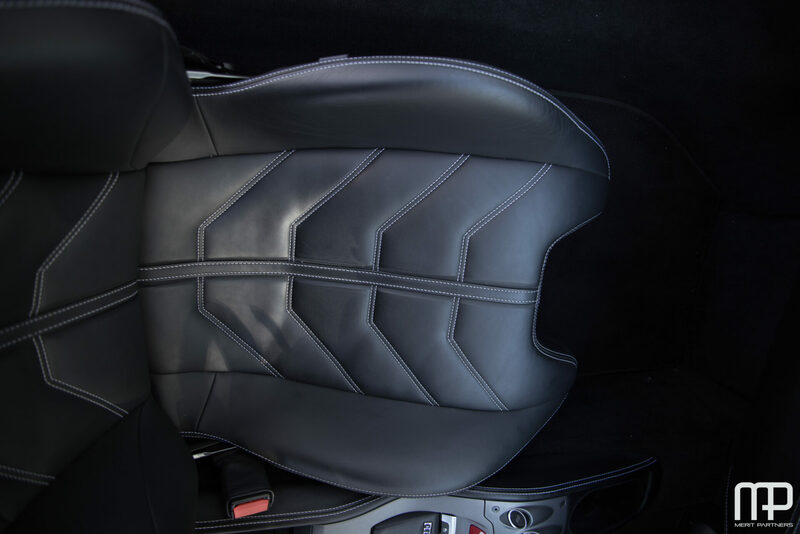 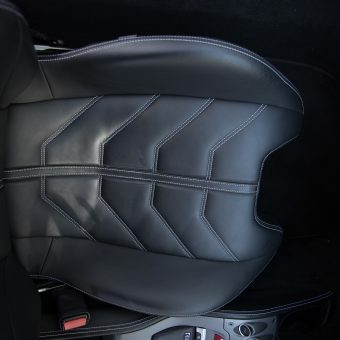 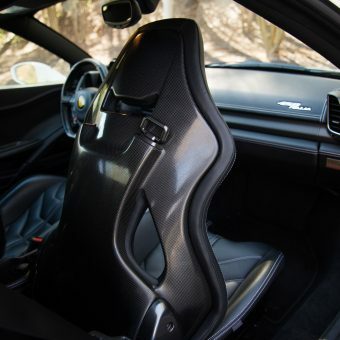 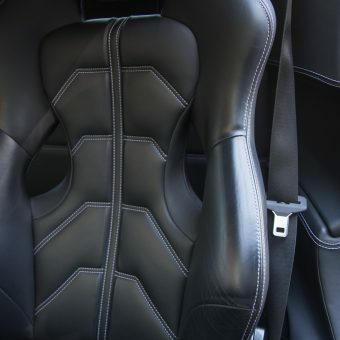 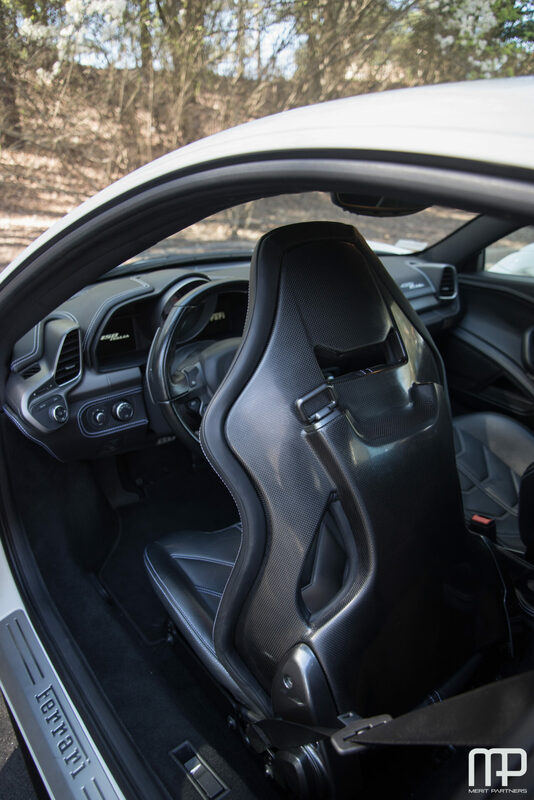 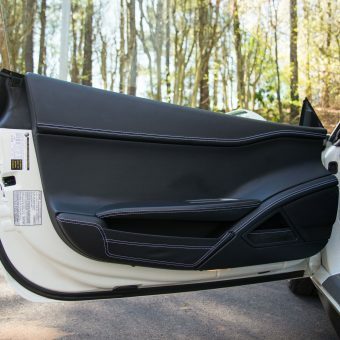 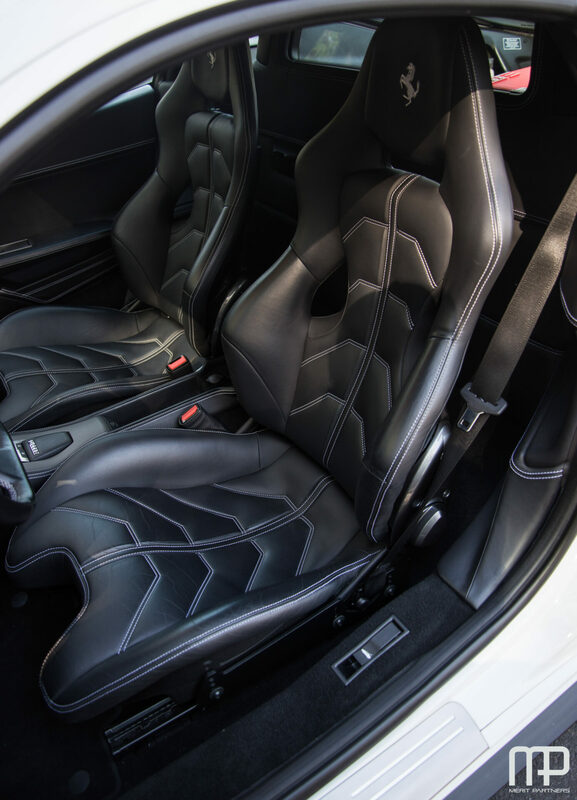 The race seats show only minimal creases in the leather and all the interior surfaces are free of any noticeable scratches. 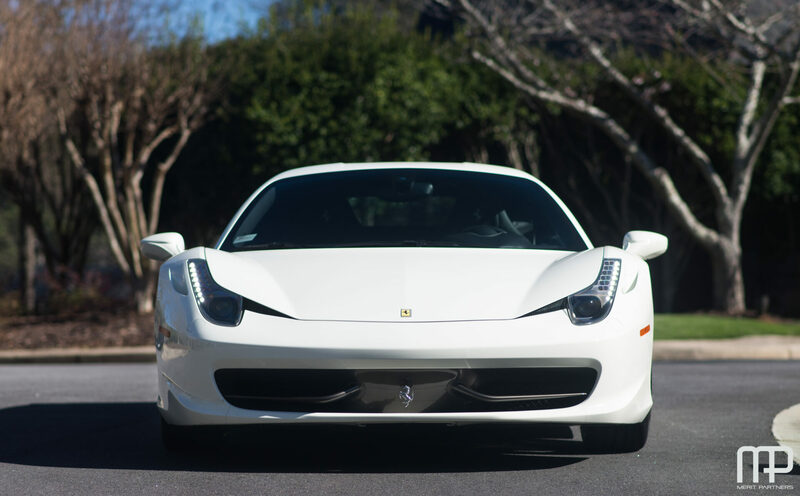 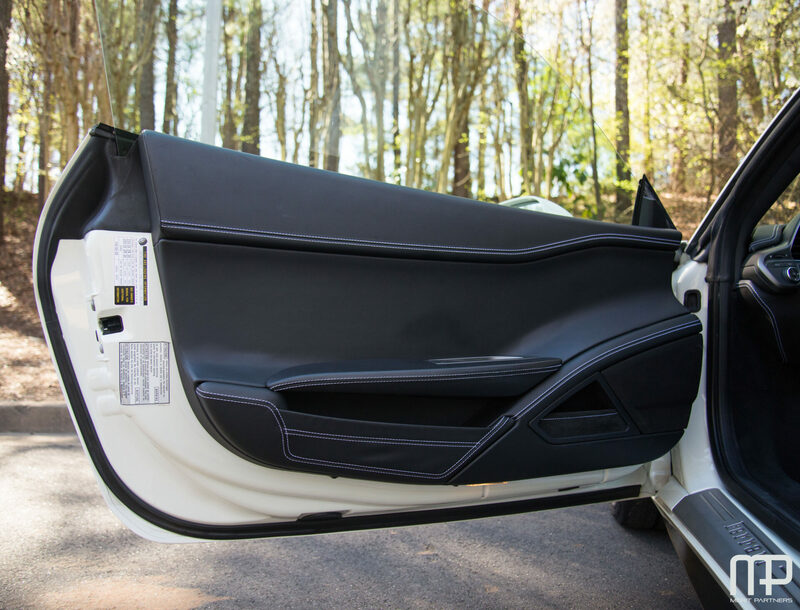 Paint film protection covers the front of the car along with side protection. 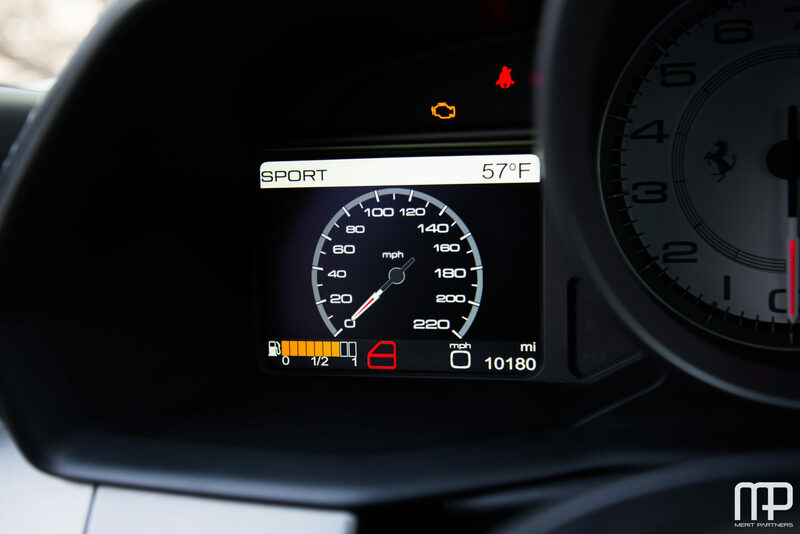 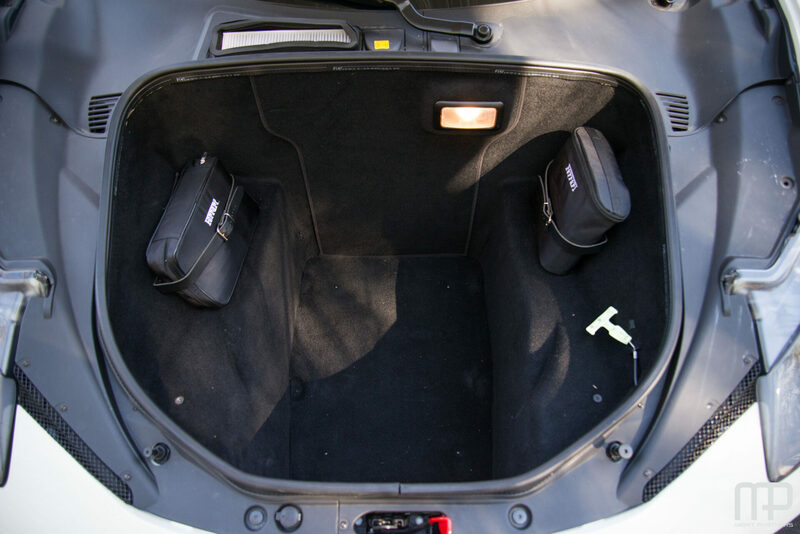 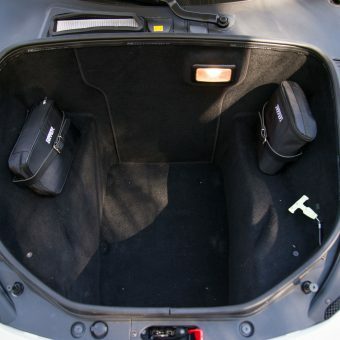 Car comes with both keys, battery charger and car cover.